The conference sought to nurture the leadership skills of emerging young Baka leaders (youths) in the Cameroonian society by fostering dialogue, tolerance, participation in local governance and creating youth leadership synergies. The organisers of the conference were headed by an AGGN fellow. 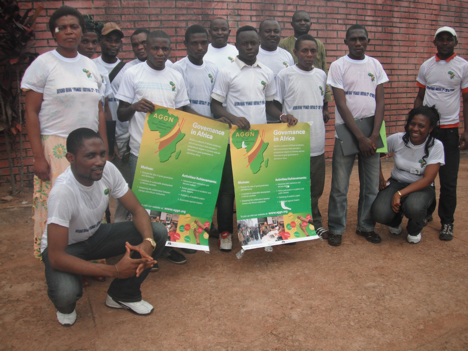 The target population was future Cameroonian decision makers originating from two core groups, the first being government-employed young leaders, currently in national administrative training schools and second were emerging young Baka leaders from East Cameroon. The participants met in a dialogue and network forum where effective participatory local governance can be nurtured. For more information, you may contact the project coordinator, AGGN fellow Ms. Glory Peace (lumapeace at gmail dot com).